Hubby bought me stuff! 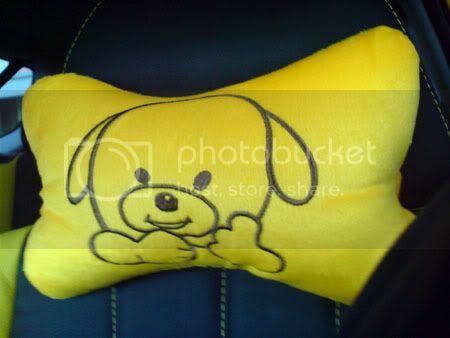 a really comfy and cute neck pillow. Most importanly, it matches the colour of our car. it was a very sweet move.. luvya! 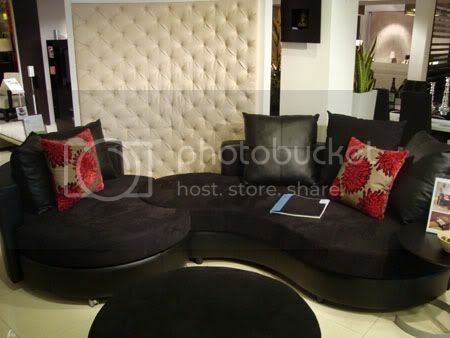 this weekend will be a busier one as we will be going down to sitex to see if we can grab any LCD tv deals and i will be going to a dress rental shop to see if there's any good finds for our Dinner and Dance. Our company had a movie marathon over the weekend. 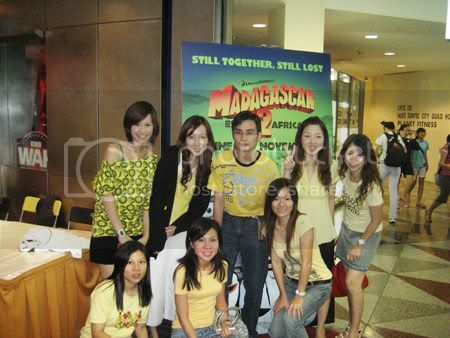 It was fun with buffet and free gifts but the movie wasn't. It was great meeting up the family members of the colleagues. We chose to watch James Bond instead of Madagascar 2. Bad choice.. tsk tsk tsk.. Should have watched madagascar instead. All our RC team members wore yellow! Happy Bird Day to Dar Dar!!! 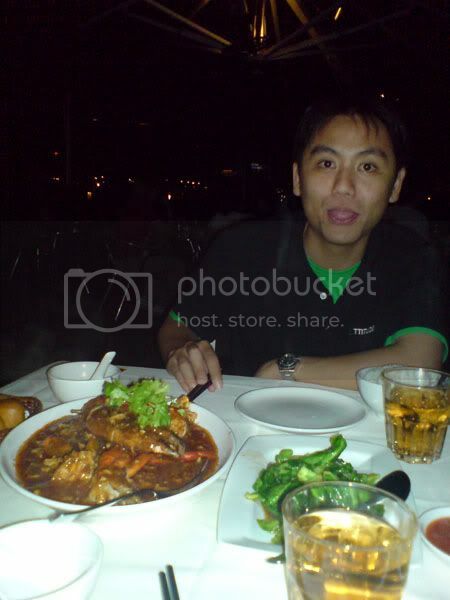 I think one of them already came true.. heez =) he's been craving for crabs for so long and I brought him to eat Jumbo. 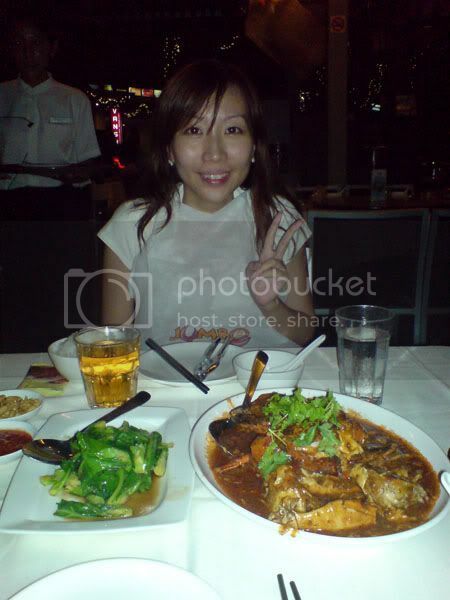 We used to eat crabs more often but due to our recent spending on furniture and the deposit for ID, we did cut down on other expenses, especially FOOD. Havnt been to Jumbo for a while but I must say their service had improved leaps and bounds. The last time I went there was maybe 6 months ago and their service was just okay... but this time, it was great!!! waitresses were really friendly and they keep popping by our table to make sure everything was alright. They saw i was wearing a white dress and offered me what i call the JUMBO 肚兜. Dear has been crazy over Class 95FM cos he's been travelling to jb for work everyday and that is what he usually listens to while driving. 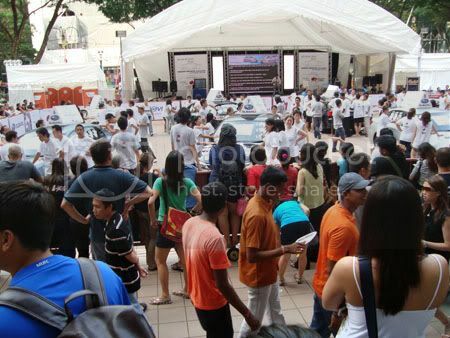 We went over Ngee Ann City to take a look at the Subaru Impreza Challenge where the last survivor will win a subaru impreza! and the survivor has emerged after about 3.5 days siong man.. i think i stand there, no umbrella. 1 hour oso can die. But they braved the storm and sun (without bathing summore).. and broke last year's record! 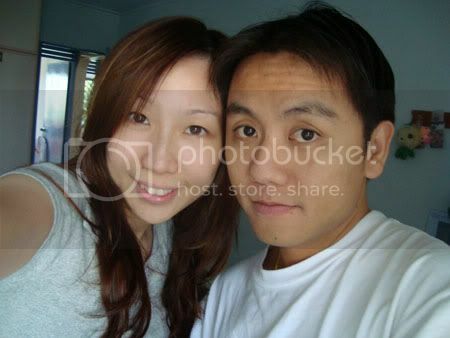 Long long time never take photo with my hubby cause wasnt feeling very well..
think i still dont look very well. we bought alot of things over the weekend. Looking really forward to our new house. we really love it as it's pretty unique. 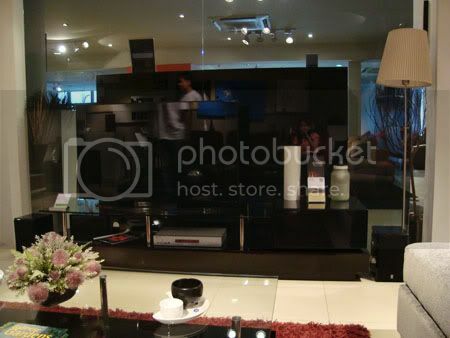 Very "clubbing" style hor..
TV console, we ordered a white one. 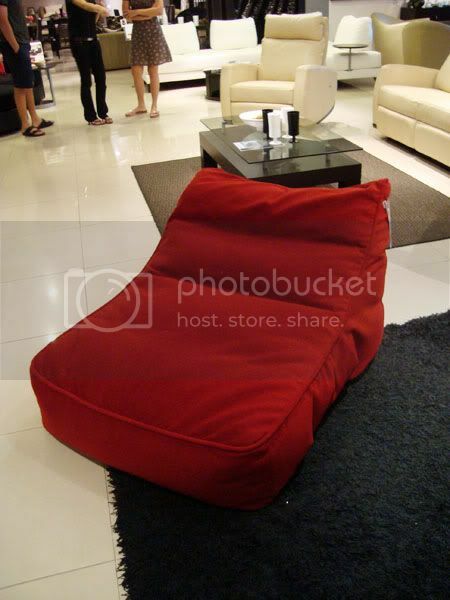 and the red bean bag which is so comfy.